There are currently several issues with wearables that makes it sub-optimal devices, from displays that can’t be always-on, to unreliable sensors, and in my experience pretty poor reliability, as I’ve managed to go through 4 fitness trackers / smartwatches in a year. Another issue is that contrary to typical watches lasting 10 years with a coin cell battery, most wearables require to be charge every few days, weeks, with the very best devices being chargers every few months. MATRIX PowerWatch promises to solve latter, as you will never need to ever charge it since it charges itself by harvesting energy using your body heat. The company promotes it as a smartwatch, but it’s closer to an activity tracker, since you can’t keep the Bluetooth LE connection all the time in order to receive notifications to your smartphone. It’s basically used to show time, track your activity and sleep patterns, and you can synchronize the data with your iOS or Android phone when you need it. It does not have to be done often, as the watch can keep up to one year of data. The watch is water-resistant up to 50 meters, and controlled by two buttons (no touchscreen). One extra advantage of the heat body charging mechanism is that it will also allow the watch to accurately track the amount of calories burned, while all other wearables are just making informed guesses. If you don’t wear the watch, a backup battery takes care of power, the watch goes to sleep keeping track of time.
. A thermoelectric material must have a low thermal conductivity and high electrical conductivity to function efficiently. NASA has used this technology to power the Voyager spacecraft and Curiosity, the mars rover. A thermoelectric module is composed of many tiny semiconductor “legs” that when added together create a large voltage. Some obvious concerns about the technology is whether it will work as advertised in all conditions. 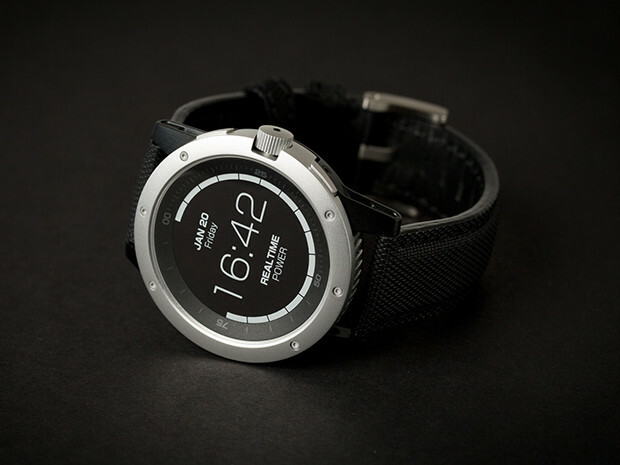 It relies on temperature delta, so what happens when the ambient temperature is close to body temperature, would the watch just go into sleep mode in that case, relying on the backup battery? The comments are also interesting, where we learn the display is apparently a black & white LCD display, and not a low power e-Paper display, and some people are starting to ask features like a color display, GPS support, and BT notifications which may not be a realistic goal… But other aspects of the project also inspire more confidence, as they have allegedly tested 1,000 working prototypes, and Arrow Electronics is involved in the manufacturing of the project. The watch was launched on Indiegogo yesterday, and the project has already surpassed its $100,000 crowdfunding campaign. If you’ll like to get involved you can still go with an super early bird pledge of $119 for the PowerWatch with a nylon strap. Other rewards are just for various quantities up to 100. Shipping is free to the US, adds $15 to the rest of the world, and delivery is scheduled for July or September 2017 depending on the rewards. someone who funded this project? So far over 600 brave souls. I would say it’s probably feasible if you only display hh:mm on a small e-ink. Bluetooth? Refresh screen every second? Now it start to sound like vaporware. There is a reason why the volume of small devices often are 50% battery or more. It’s the same reason we do not have solar powered cars.. Try to squeeze in a thermoelement capable to deliver enough power (given that it’s possible at all) and a battery into a tiny watch? The thing is going to be huge. The Display is a Memory LCD (typ 15 μW Static, 50 μW Dynamic) and the CPU is an Ambiq Micro (35µA/MHz executing from Flash, 143nA sleep mode) so it may well be possible. That said they’d probably have do better harvesting the mechanical energy.